This is a DIY kit to make your own dryer balls! 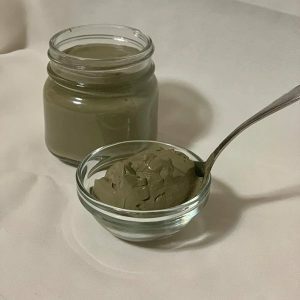 It makes a great for gifting to a craft-curious friend who wants to ditch the dryer sheets (and the toxic chemicals they contain). Or make and keep these lovers-of-laundry for yourself! 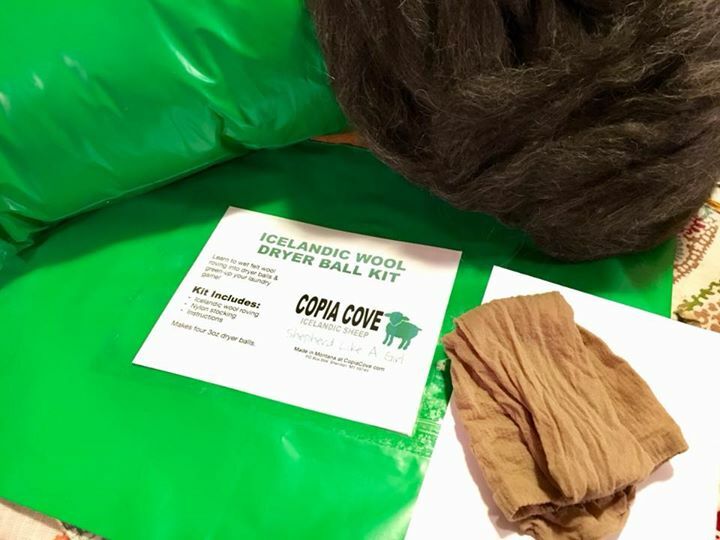 Comes in the green bag with Kit label, as shown. 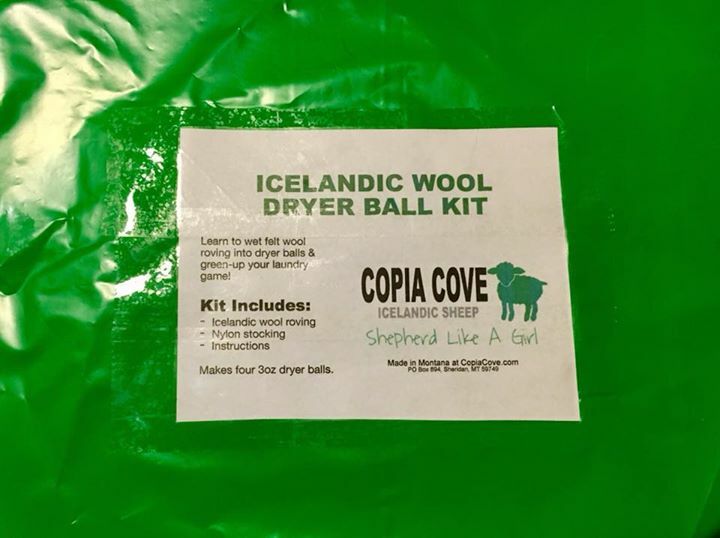 Includes all materials needed to make dryer balls from (the included) Icelandic Sheep roving (except the washer and dryer). Also includes detailed instructions with links to bonus videos. This kit does not include the FINISHED dryer balls.You make yourself with the supplies provided in the kit. Want to know more about Dryer Balls – how and why to use them? Check out this informative ARTICLE! 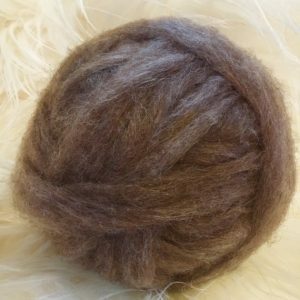 This Brown Roving is priced per 3.5 ounces. 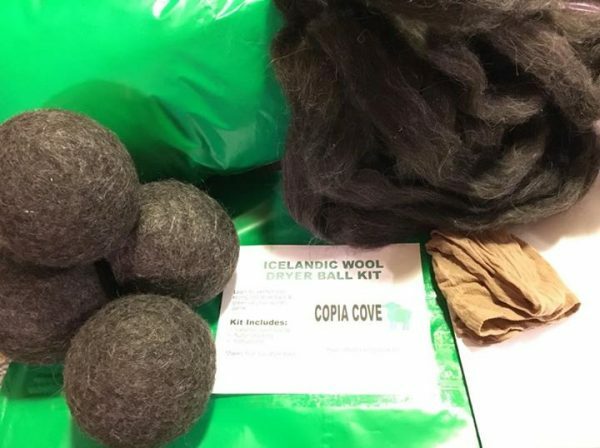 It is 100% Icelandic Sheep Fleece from Copia Cove Icelandic Sheep in Montana, USA! 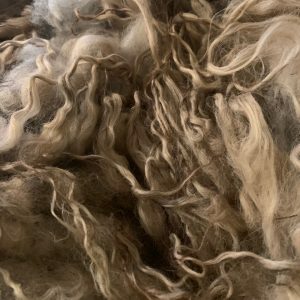 This is from our Spring shearing 2016 and has recently been washed and carded into roving by a local fiber mill. 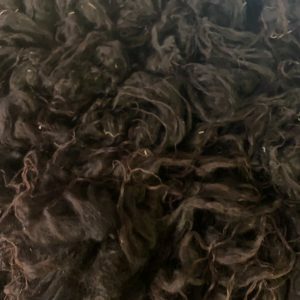 Excellent quality black fleece with slightly brown tips in places. Super-soft, great locks, some VM. 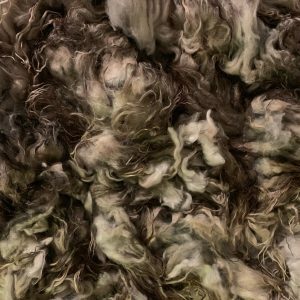 Excellent quality black to medium-gray fleece, super-soft, great locks, 20oz. Skirted, little VM, staple of 7-8”. 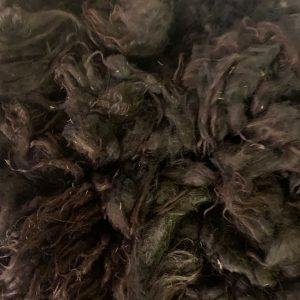 Good quality black to medium-gray fleece, some nice locks, 19oz. Skirted, little VM, staple of 5-7”. 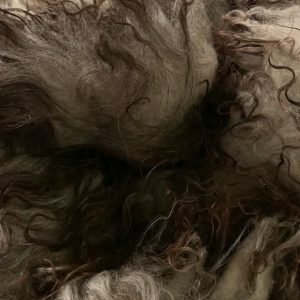 Excellent quality Light brown to light gray fleece with dark dark tips. 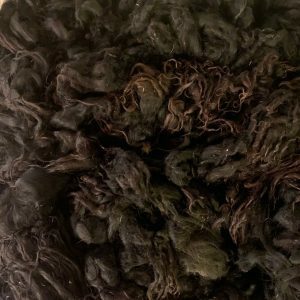 It’s a very unique color, super-soft, and you’re absolutely going to LOVE it!